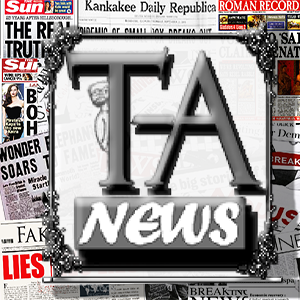 TA News is a product of THE-Ave.US. Our TAN posts are based on a long tradition of alternative facts in the spirit pioneered by New York Journal. under Hearst and its successor Fox News under Rupert Murdoch. Posted 22 Nov 2018 by theaveeditor in Misc.